Ever observed the agility of an insect? Mimicking the locomotion of bees, cockroaches, earthworms, larvae etc, presents immense potential and application in the world of technology and robotics. The ability of these creatures to navigate challenging environments in their biological state has awed and (bio)inspired scientists! The Physics department of the University of Warsaw, in collaboration with LENS Institute in Italy and the University of Cambridge, developed a light-induced robot made of a molecularly aligned flexible elastomer stripe based on the concept of liquid crystal elastomer technology. 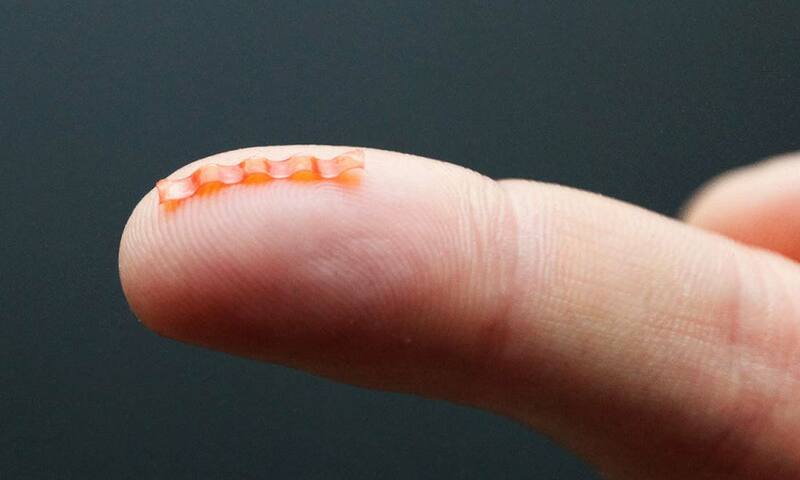 15 mm in length, this bot replicates the nature of a caterpillar’s movement i.e. it crawls in a wavelike manner, ascends and descends flat and moderately steep surfaces, can squeeze into holes, push objects, and also, has the capacity to lift weights six times heavier than itself. Its unique property is that it harvests energy on exposure to green light (note, wireless! ), changes into desired patterns and shapes as LCEs or liquid crystalline elastomers do, and can be controlled by a spatially modulated laser beam. When a 200-degree Celsius heat is applied, the robot becomes curly, reduces in length and propels towards the light. The entire study has been published in a paper titled 'Light-Driven Soft Robot Mimics Caterpillar Locomotion in Natural Scale’. Funded by the National Science Center in Poland, this method of replicating and tracing deformation patterns promises to improve future innovations in terms of smart materials, design and technique in micro and nano robots, even ones that swim or fly. Top image: The 15-millimeter-long robot harvests energy from green light. Image source: University of Warsaw Faculty of Physics.